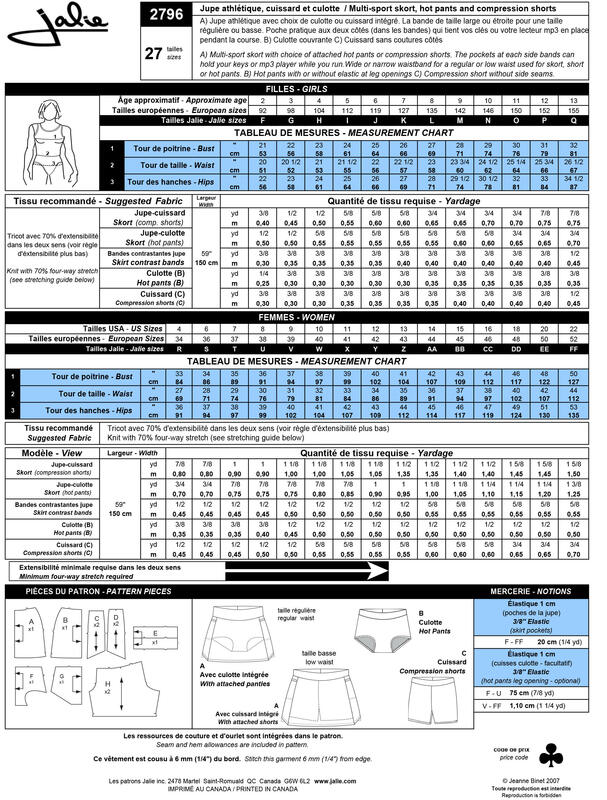 Package includes patterns and instructions to make A) Multi-sport skort with choice of attached hot pants or compression shorts. The pockets at each side bands can hold your keys or mp3 player while you run. Wide or narrow waistband for a regular or low waist used for skort, shorts or hot pants. B) Hot pants with or without elastic at leg openings. C) Compression shorts without side seams.